Ellie Blankfort has been a noted presence in the Los Angeles art world and on the national scene for nearly forty years. 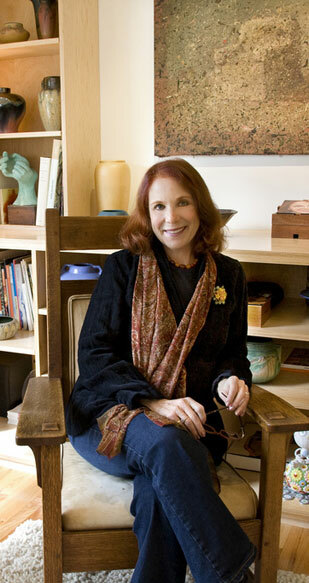 Starting out with a degree in Art History from UCLA, she opened the Ellie Blankfort Gallery in the early 1970s. She earned a reputation for showing some of the most promising young artists of the time — several of whom were featured in the 1974 Whitney Biennial and have gone on to national and international acclaim. Success with her gallery led Ellie into a business partnership, Fine Art/Fine Design, combining her art and design skills to serve both corporate and private clients. As an independent Fine Art Adviser, she has worked with numerous collectors, including a major New York firm with offices throughout the country, for whom she established a top-rated collection of contemporary artists. Ellie has also served as advisor to public art programs at the Frank O. Gehry-designed Loyola Law School in Los Angeles, California Institute of Technology, and elsewhere, commissioning works by Claes Oldenburg and Coosje van Bruggen, Kent Twitchell, Lloyd Hamrol, and others. More recently, Ellie chose to return to working directly with studio artists in their creative process, opening her office to individual consultation sessions and her home to Artists’ Matters, a monthly support group for artists. She also offers workshops, including the successful Building a Practice. Ellie is an active member of several prestigious museum support groups, including the Modern and Contemporary Art Council at the Los Angeles County Museum of Art, where she served for several years on the Art Here & Now awards committee; and served on the board of the Fellows of Contemporary Art. She is also a long-time active member of ArtTable, a national organization of professional women in the arts. In addition, Ellie’s extensive travels throughout the world serve to give her a truly international perspective. "The creative process is a cocktail of instinct, skill, culture, and a highly creative feverishness. It is not like a drug; it is a particular state when everything happens very quickly, a mixture of consciousness and unconsciousness, of fear and pleasure; it's a little like making love, the physical act of love."